On the rainy night of September 6th, I had the pleasure of going to see Ben Harper and the Innocent Criminals play at the historical Chicago Theatre. It may not be possible to not be in awe regardless of who is performing when you enter into the beautiful Chicago Theatre. 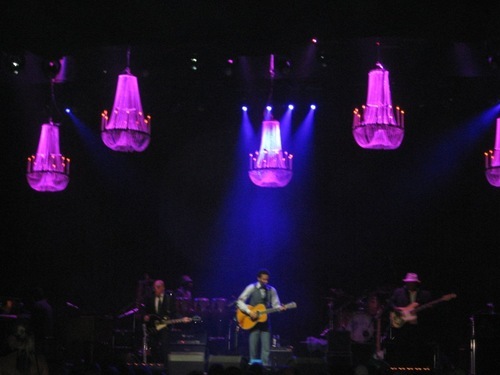 However, Harper and the Innocent Criminals let the theatre be only a background to great show they put on that night. Continue reading "Ben Harper and The Innocent Criminals: Chicago, IL 09.06.07"
Sorry for this update being 2 weeks too late. i just got to school 2 weeks ago and have had no time to do updates as of late. so 2 weeks ago, i got the pleasure of going to the june/the graduate/the higher concert at house of blues. this show was a show i was looking forward too because i love going to june shows to hang out with those guys. so i get there 30 mins before the show and i go to the will call box and they look through their list and they say im not on the list. now this is the first time that this has happend to me, while doing mobile beat. so i start calling people and finally run into their manager, lucas, and he worked everything out for me. so, after i solved that problem, doors opened up and i headed on over to the merch area to hang out with their merch guy, coop there it is. over the period of the show i helped him out at the merch area and hung out with him. i met some sweet people with doing merch, like kate, a fellow chicago mobile beatter. i also checked out some of the bands that were performing. im not a big fan of driver side impact or 2 sweet, so i didnt really watch them, minus a few songs. Continue reading "June @ Chicago, IL House of Blues 8/17"
my day 3 was a little more eventful than my day 2. after waking up a little late downtown, me and my friends got our stuff together and proceeded to head towards lolla. before we went to lolla, we stopped off for lunch and portillo's, the best italian beef in chicago. 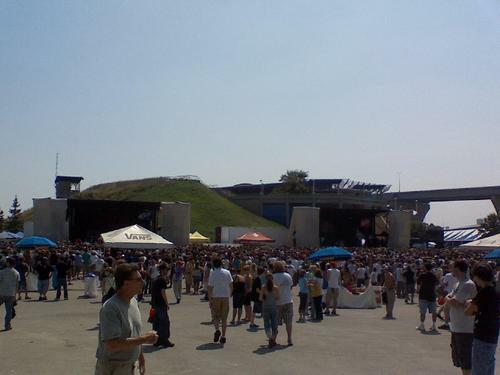 once i got there, i headed on over to the at&t stage. lupe fiasco was about to perform and this being one of my favorite MCs, i had to watch. i wanted to watch amy winehouse, but i just couldn't miss my chance to see lupe. so, he started off his set with his part in the famous kanye west song, "touch the sky". then he started to hype up the crowd by asking them "can you dig it?" and the crowd yelling back "yes i can!" he then freestyled over the gorillaz's "feel good inc." song and progressed onto new songs. he sang his part in the crs (mega group that includes himself, kanye, and pharelle) song "us placers". his set consisted of songs off his cd, "food and liquor" and new songs off his upcoming cd, "the cool". his set all in all was a decent set. i was happy to see him perform and he did a good job, but all the changing of pace during his set destracted me from my reason of watching, lupe fiasco himself. Continue reading "Lollapalooza Day 3 @ Chicago, IL 8/5"
white day 1 at lolla was an eventful and fun day, day 2 for me was a little different. instead of taking in all the amazing bands that they had on saturday, i had to play in a softball tournament. not only did i not win the softball tournament, we took 2nd :( , but i also missed some of my favorite bands that were playing. im so mad that let me just tell you the bands that i missed: silverchair, the roots, regina spektor, and motion city soundtrack. not only did i miss those bands, but i also had a lolla lounge pass this day. now if you guys don't know what the lolla lounge is, its these little fenced areas around the at&t stage and the bud light stage that has free food, BEER, WINE, VODKA, water, and vitaminwater. Continue reading "Lollapalooza Day 2 @ Chicago, IL 8/4"
After attending my first Lollapalooza at Grant Park in Chicago for its entire three-day span, let’s just say it has become my new favorite weekend of the year. My friends and I have decided that there needs to be a Lolla at least once a month. That would be amazing. The only minor downfall was that after spending three days running around in the blistering hot sun, I got pretty sick the week after and spent more time laying around than I like to. But I am still not complaining and would like to point out the fact that it was well worth it. Continue reading "Lollapalooza August 4th-6th Chicago, IL"
So it has been a little over a week since i got to experience one of the greatest weekends in my life, LOLLAPALOOZA!!! this was one of the, if not the number one, reason i entered the mobile beat contest. i asked for the festival in the beginning of june and after numerous emails and phone calls, i finally got the green light for the festival. i woke up friday finding out that i got into lolla, so i hurried up and got ready. 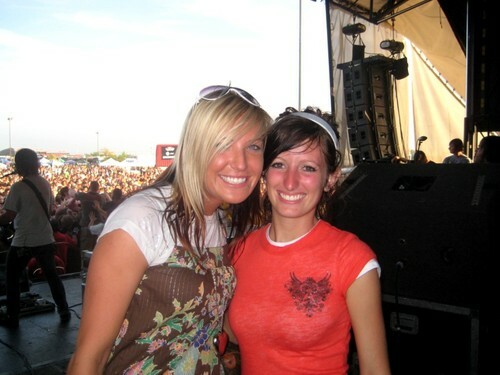 once i checked into the media tent, i walked around the media area before jacks mannequin went on. when i got there i found out that since we were using our cell phones for pictures, we were not allowed in the photo pit, so i will not have photos (minus one or two pics i took) in my lollapalooza blogs. 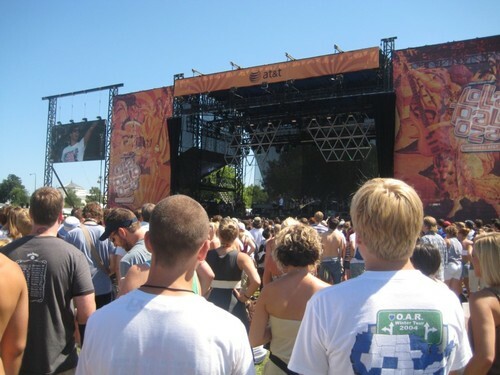 Continue reading "Lollapalooza Day 1 @ Chicago, IL 8/3"
Continue reading "Warped Tour @ Milwaukee, WI 7/31"
Continue reading "Warped Tour Chicago, IL 07.28.07"
I still can't quite believe I got to go to Chicago to see ERIC CLAPTON'S CROSSROADS GUITAR FESTIVAL!!! The minute they went on sale, Gary got on-line and bought tickets ... they sold out in 23 minutes. This was our "summer vacation" trip planned long before I won the Billboard/Mobilebeat contest, but of course I ASKED Billboard if they could get me photo/press access since I already had a ticket. (They tried their best, but couldn't.) You'll see that the quality of the photos I took at the concert aren't as good as they could have been if I were able to get "up close and personal," but this will give you an idea of the kind of photos "normal people" (who don't go through life with "special access")can take with this LG camera phone! Continue reading "ERIC CLAPTON'S CROSSROADS GUITAR FESTIVAL @ Toyota Park, Chicago, IL 7.28.07"
My long-awaited trip to Chicago finally arrived! Gary and I are BIG Eric Clapton fans -- he's got a 37-year old son named Eric after you-know-who, and I, a more recent fan, have a dog named Layla! (Speaking of Layla ... she is a VERY SPECIAL Dalmatian, and was just bred -- so we hope to have a houseful of little "Laylas" soon. As the doggie people say, "Keep fingers & paws crossed!") Anyway, we are BIG blues fans, and BIG MUSIC FANS in general, and when we heard Clapton was putting on another "Crossroads Guitar Festival," this time in Chicago, Illinois on July 28th ... our summer music festival travel plans were SET. We both have to work for a living ... I have two young kids (and three dogs) ... as much as we'd LIKE to, we can't do them all. No doubt about it ... there would be no 10K Lakes or High Sierra or Vegoose or any other trips this summer for us ... we're goin' to CHICAGO!!! Arriving at our hotel after midnight Wednesday night (with a big thunder storm approaching), we decided it was too late to strike out in search of live music that night (silly us! ), so Thursday night, after a day of sight-seeing in a surprisingly BEAUTIFUL and CLEAN big city (with no homeless people sleeping in doorways, and the most gorgeous flowers you've ever seen growing in planter boxes and hanging baskets EVERYWHERE) we headed over to Buddy Guy's "Legends" to see Bryan Lee & the Blues Power Band. Bryan Lee & The Blues Power Band were H-O-T. This guy is one busy musician ... check out the schedule on his website (http://www.braillebluesdaddy.com/schedule_dates.html) and you'll see he's booked 5-6 nights a week through October. 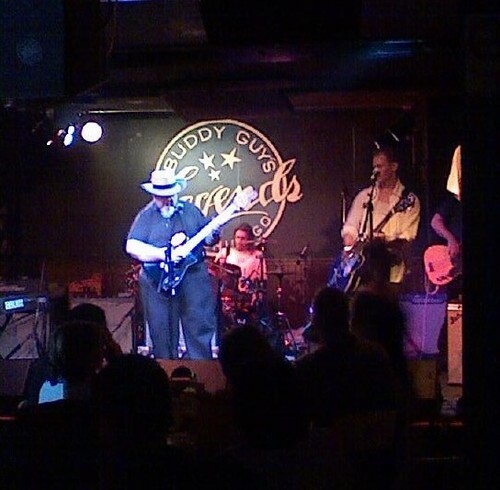 Continue reading "BRYAN LEE & THE BLUES POWER BAND @ Buddy Guy's Legends, Chicago, IL 7.26.07"